Wether you are the bride or not, looking beautiful for the wedding day is always a must! Just make sure that you aren't stealing the bride's spotlight if you're not the one getting married ;). The best thing to do for a bride is to book an appointment for a hairstyle and makeup trial consultation 2-3 months before the wedding. Make sure that it is booked for the right amount of time if you are going to try a few different looks or if you are not sure what you want. It's also a good idea to book your trial appointment before going out or before your dress fitting to see if the hair and makeup will hold up. 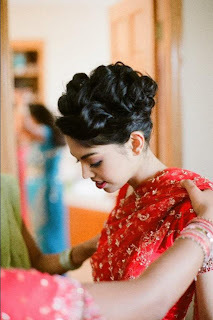 I gathered some guidelines for hair and makeup that I always tell my brides before and during the trial consultation. 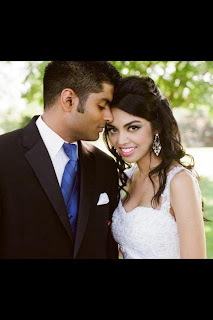 I also posted a few photos of past brides I have done makeup and hair for, and a few of my favorite wedding hair and makeup looks from www.brides.com. 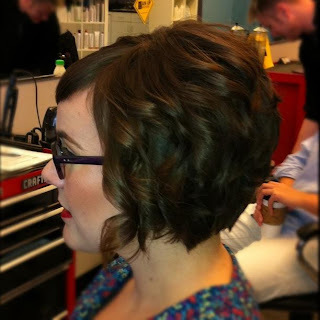 You can always find me here or at Moxie Salon in Uptown Minneapolis, 612-813-0330. Enjoy! 1. Make sure your hair is one day old from the trial day or wedding day. So meaning that your hair is not washed the day of. Your hair should not be wet from washing it the night before, you want to wash it in the morning the day before your trial or wedding day so it has time to dry if you air dry it. If it's too clean, it has too much slip and will not hold the style. When it is too dirty, it's not workable as well. 2. Always bring with you pictures of what you would love your hair to look like. A few pictures are great if you like different hairstyles and you're not sure what will best look good on you. 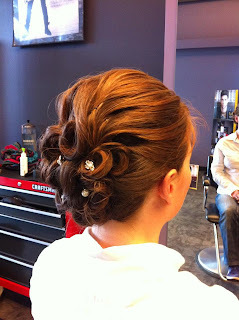 A picture or description of the wedding dress is also welcome to figure out if your hair will be up or down. Search online or grab a wedding magazine and start looking for specific hairstyles. 3. Decide if you would like curls or no curls? More volume or less volume especially on the sides and the top. 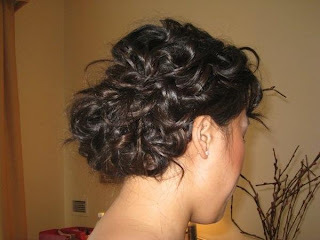 Would you also like a messy or clean bun to be incorporated in the style? Determine where you would like the bun to be if you have one - on the lower side, very top crown, drop crown, nape? Make sure your hairstyle is well balanced. 4. Have with you any hair piece attachments you would like for the hairstyle, so you can see how they work with the style you choose. 5. 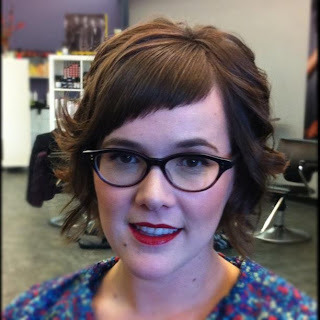 Be open to suggestion from the stylist if something is going to be modified on your hairstyle to best fit your features. It also comes to what your hair will hold best. 6. 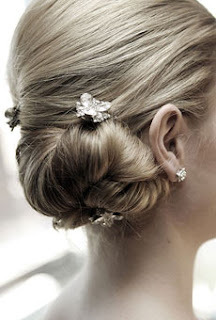 A finishing hairspray, bobby pins and a rat tail comb is a must to have with you on the wedding day to touch it up. 1. Always have a clean hydrated face when you are getting your makeup applied for your trial or wedding day. Make sure that if you receive a facial or microdermabrasion service, that it is received one to two weeks before the wedding. Just in case you have any type of reaction to any of the products, your skin will have enough time to heal. 2. Bring pictures of a look that you would like for the wedding day makeup. Talk about colors that works you and what you are comfortable with. Do you like a more natural look? Or do you want to go all out? 3. 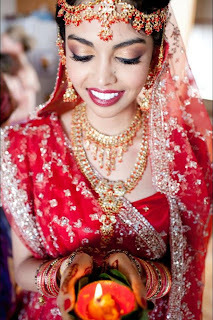 It is advised for a bride to bring her own makeup if she would like a specific product that the makeup artist might not have in his or her makeup kit. I always tell the bride to at least invest on a really nice foundation and/or concealer. 4. Invest on a really great skincare a few months prior to the wedding. Exfoliate at least once a week to make your skin glow, don't over do it. Your skin will be more radiant and ready for a perfect makeup application. 5. Your mascara and eyeliner should be water-proof or water-resistant. It should be tear and sweat proof from all the happy moments and warm weather. False lashes are really great for fullness and length. 6. Have the lip colors picked out so you can buy the actual lip product to touch up during the wedding. I usually have a little container so I can fill it with the product for touch ups. 7. A pressed setting powder, a lip color and false eyelash adhesive is a must to have with you on the wedding day for touch ups. Bride Laura with a classic lower bun style. Hair by Marina Moua. Bride Kathy with a makeup look to go with eyewear. Hair and makeup by Marina Moua. Bride Kathy with a curled style for short hair. Hair by Marina Moua. 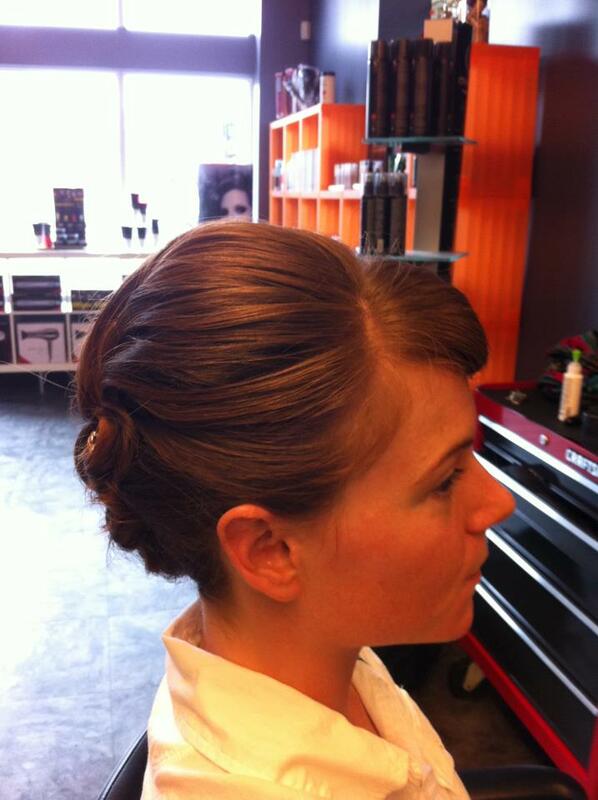 Bride Meridel with a classic style with rosettes (pin curls) in the back. Hair by Marina Moua. 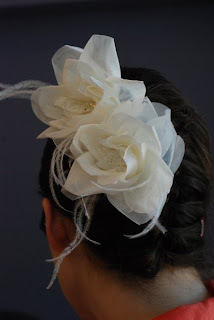 Bride Meridel's rosettes in the back of the style. Hair by Marina Moua. Bride Bethany with a hair piece made by her friend, it was made with recycle wedding dress fabric. Hair by Marina Moua. 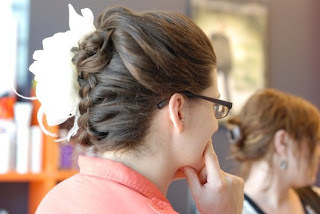 Bride Bethany with a braid style and high rosette. Hair by Marina Moua. Bride Maytsua with a messy lower bun and small beachy waves. Hair by Marina Moua. Bride Talee with smokey makeup look. Hair by Marina Moua. Photo by www.lauraivanova.com. Bride Talee getting her makeup done by me, she also has pin curls on the higher crown for her style. Hair and Makeup by Marina Moua. Photo by www.lauraivanova.com. Bride Nadyia with a volumous pin curls. Hair and Makeup by Marina Moua. Photo by www.lauraivanova.com. Bride Nadyia with a traditional Indian wedding makeup look. Makeup by Marina Moua. Photo by www.lauraivanova.com. Raeanne is not a bride, but this look will definitely be more of a curly down style with a more natural makeup look. Hair and Makeup by Marina Moua. Photo by www.stephaniehynes.com. Soft finger waves with hair pins and a lower loose bun, and smokey eye makeup. Beachy waves with a lower messy bun. loose messy curls with a lower messy bun, and natural makeup. Modern lower side ponytail twist with hair pins. Classic lower side bun, and classic soft makeup. Classic lower messy side bun, and classic red lips makeup. Loose messy curls with a messy lower bun, and smokey eye makeup.